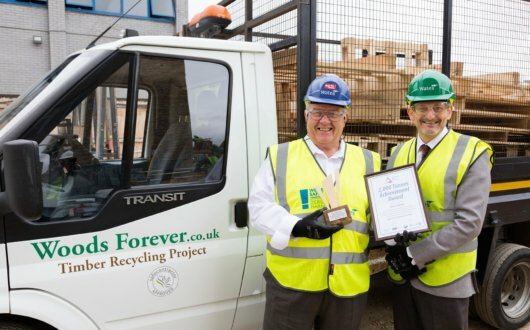 At Wates we are committed to the long-term sustainability of the built environment and to leaving a lasting legacy for the communities in which we work. As part of our award-winning and industry-leading corporate sustainability programme, Reshaping Tomorrow, we provide training and employment opportunities for those furthest from the workplace. Building Futures is a two-week programme for adult (19+) job-seekers. It offers adults the chance to visit active construction sites, trains them in key skills, awards them an industry-recognised skills certificate and opens routes for a potential employment in the construction industry. Established in 2006, Building Futures is managed in partnership with Ixion Holdings, a subsidiary of The Shaw Trust, and supported by Wates Giving. At the same time, according to the Construction Industry Training Board, by 2021 the built environment sector will need over 179,000 new employees to meet projected demand. 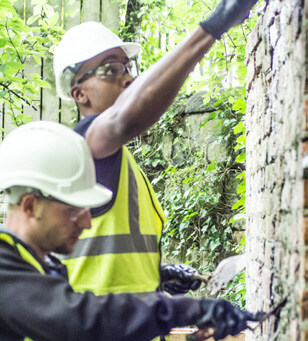 Building Futures seeks to address both these issues by training people who may currently be marginalised from the workforce – such as the long-term unemployed, or those looking to return to work after lengthy absence – giving them an introduction to construction skills, and providing opportunities for a future career in the construction industry. 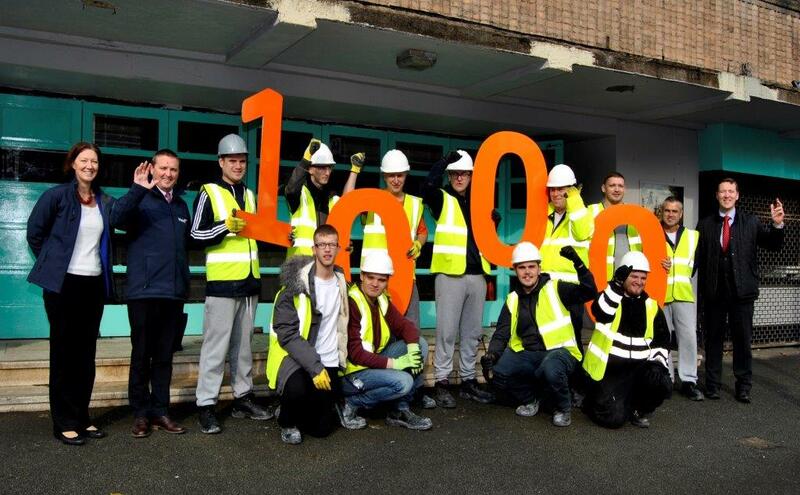 Over 1,100 people have participated in over 100 Building Futures Programmes since the programme’s inception, with over half of these moving into education, employment or training thereafter. In 2016 we commissioned NEF Consulting to undertake a Social Return on Investment (SROI) Evaluation of the Wates Building Futures programme. Building Futures was found to generate significant improvements in employability outcomes for participants. Factoring in the employment and training opportunities for individuals often given only limited access to the employment market, and the subsequent benefit to the UK government in reducing the number of individuals requiring benefits, Building Futures generates an estimated £1.83 of SROI for every £1 spent. Building Futures seeks to give participants tangible, relevant career training, through a combined approach of a site visit, hands-on trade tasters, qualifications, employability training through an expert partner network. 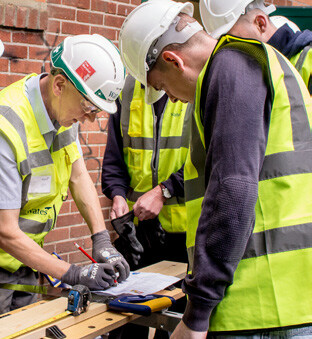 Participants will gain the BTEC Level 1 Certificate in Construction, Asbestos Awareness, Manual Handling and a free test to secure a five-year Construction Skills Certification Scheme (CSCS) card. Both of these allow participants to work on construction sites – all funded by Ixion and Wates Group. All participants also receive a set of Personal Protective Equipment (PPE) clothing that they can keep. We provide employability training in the form of job interview training, CV writing and classroom exercises designed to boost confidence, self-esteem and employment prospects to help people who have spent time out of work regain office-style experience. Wates works alongside local referral organisations, supply chain partners, clients and our specialist training partner, Ixion, to deliver the programme. Our partners are encouraged and to employ Building Futures participants where opportunities are available. We recognise the opportunity that Building Futures presents for the communities in which we operate and the wider construction industry. 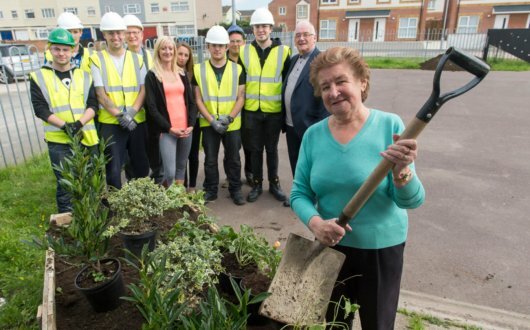 The programme is made possible by the support of the Wates Enterprise Family Trust, which has invested over £420,000 in the programme, and which will have invested over £700,000 by 2020. Tom Brodie attended the Building Futures Brent programme in 2016. He had been out of work for nearly 4 years following a spinal fracture due to an accident at work. He applied for the programme to enable himself to obtain his CSCS card and get back to work in the construction sector. If you have additional questions about our program, you can email us by clicking here.